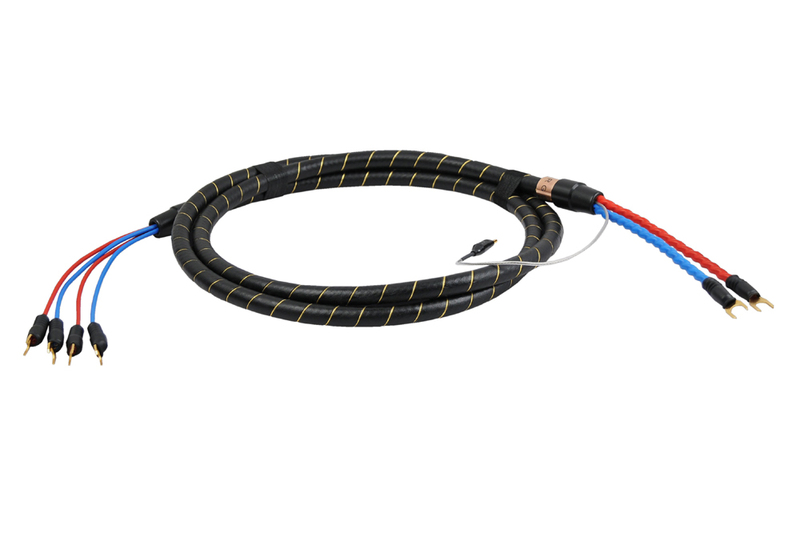 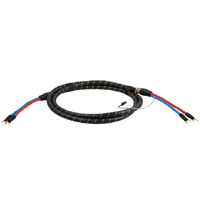 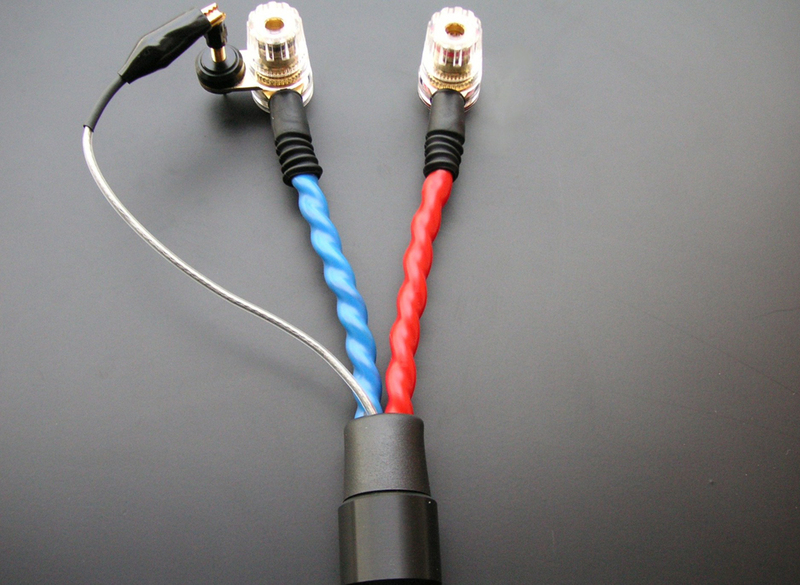 Speaker cable with symmetrical structure consisting of 4 veins (conductors) in a Star-Quad system (four stars), each of which has the 31 polished silver wires Ø 0.32 with 99.999 (5 N) standard. 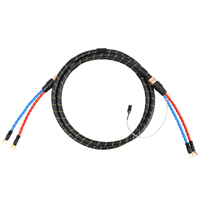 Insulation of the first contact to the conductive beam is Teflon and air space geometrically created as a result of belting with Teflon PTFE tape. 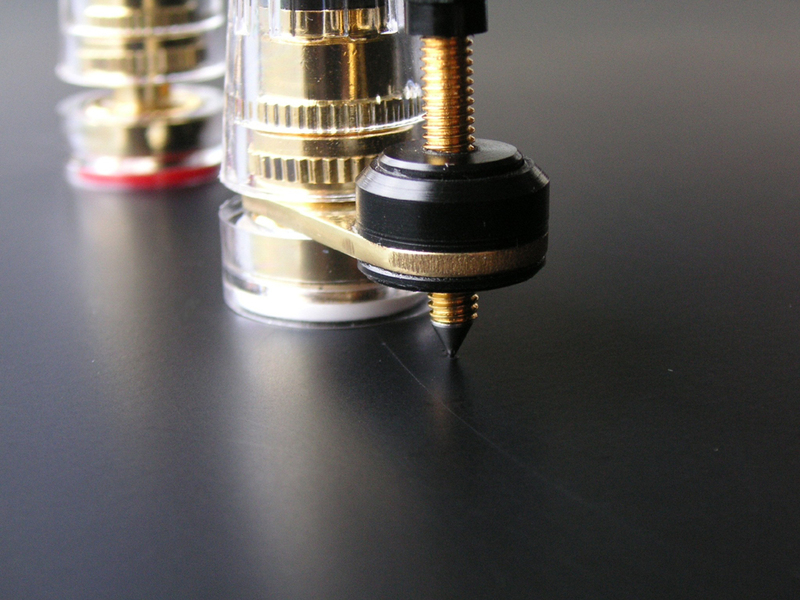 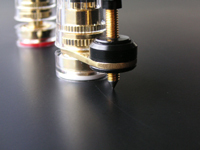 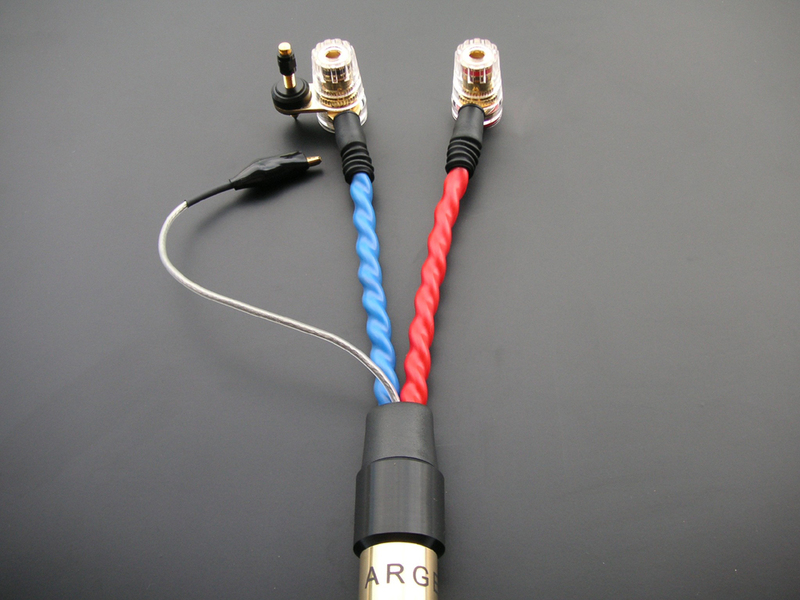 "Star-Quad" conducting system creates an electromagnetic field interactions, so that the internal crosstalk is reduced. 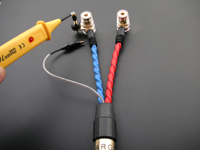 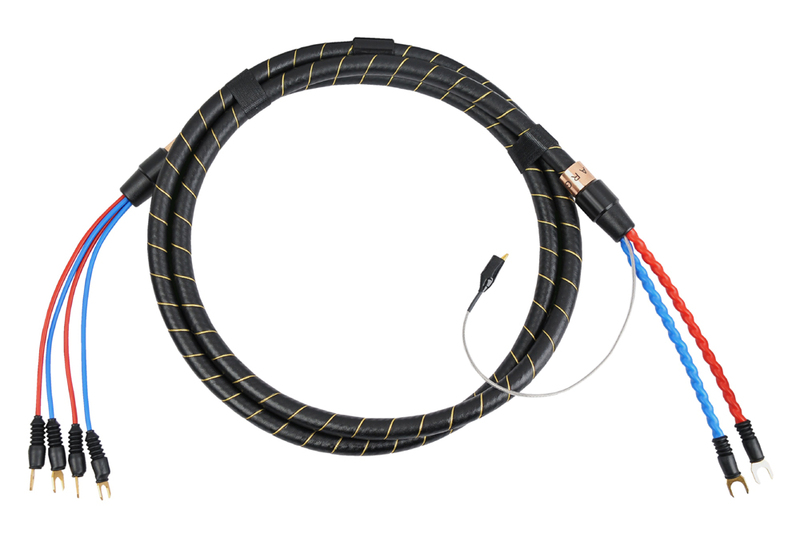 The cable has double shielding, which is gold-plated OFC copper braid and a very tight chrome-nickel braid Cr/Ni. 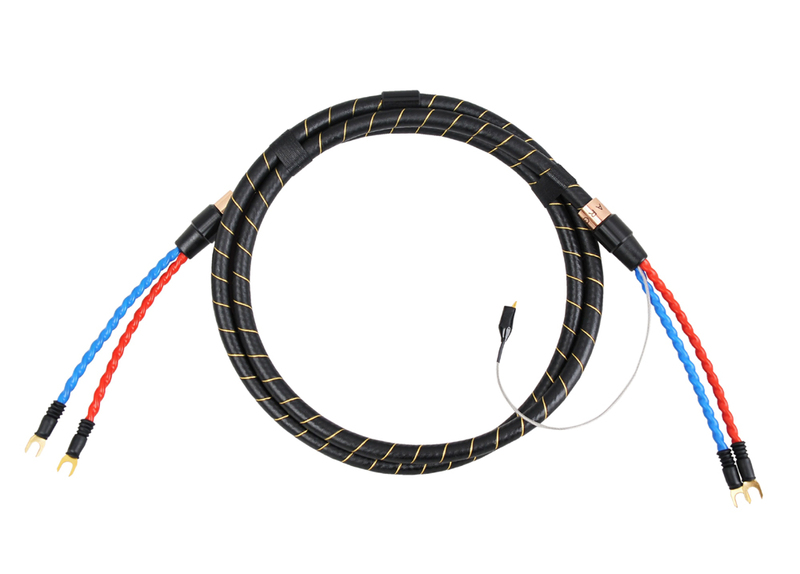 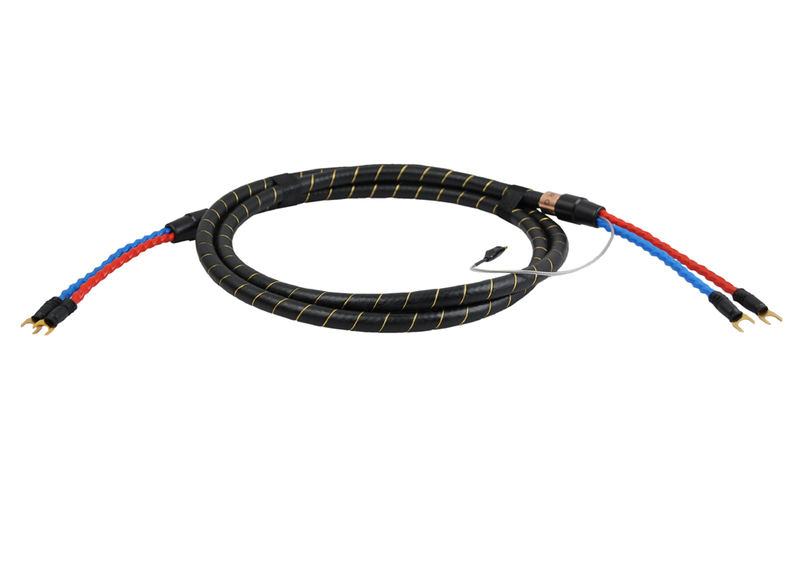 Due to the shielding, the cable is polarized by an additional cable made ​​of braided OFC copper, coated with silver so called "Pig-tail". 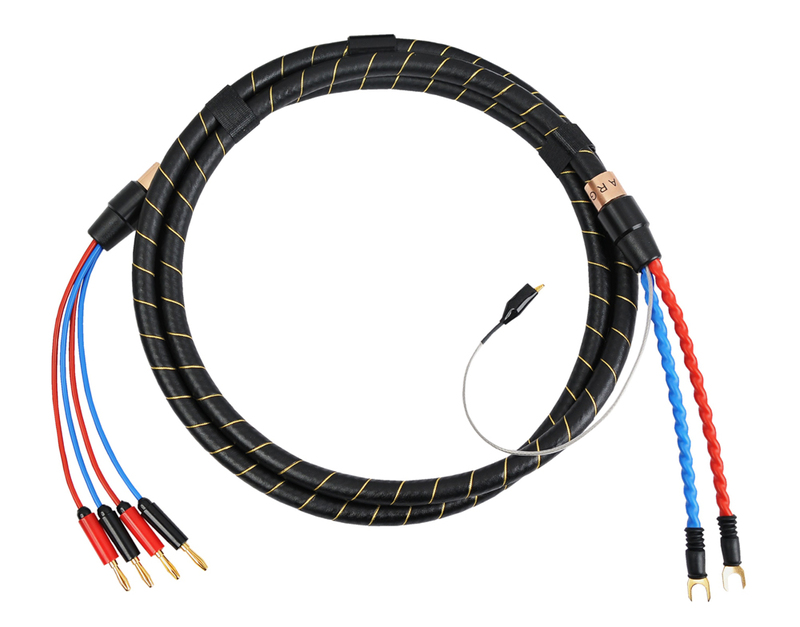 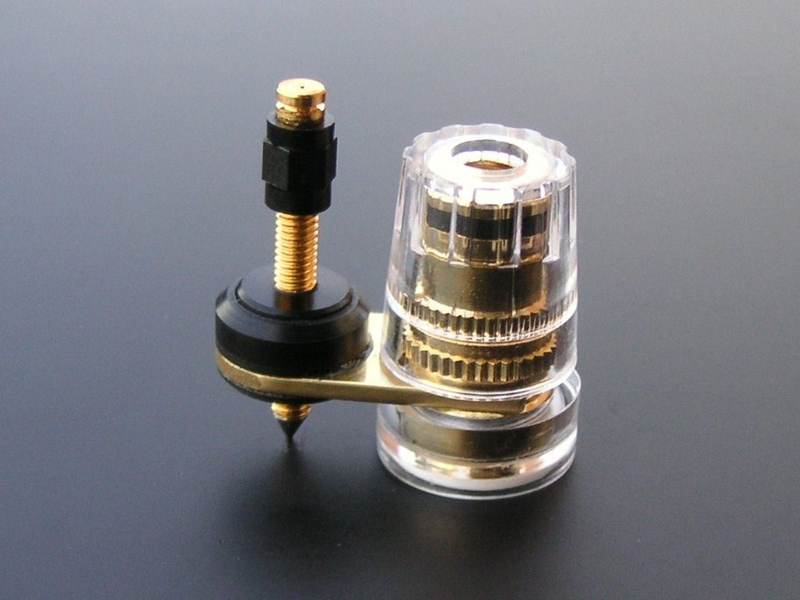 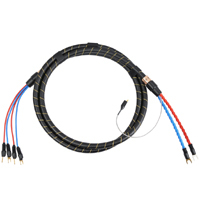 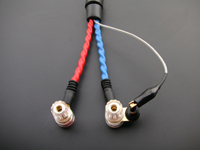 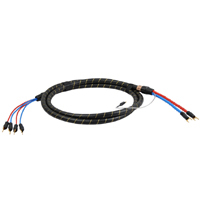 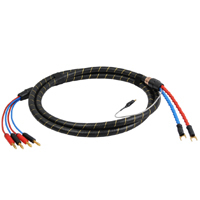 Additional cable with circuit elements of needle and bracket connects the cable shield with metal casing of the amplifier, giving a possibility of potential equalization (equipotentiality) of the screen with a plate of intermediate mass ie the metal chassis of the amplifier. 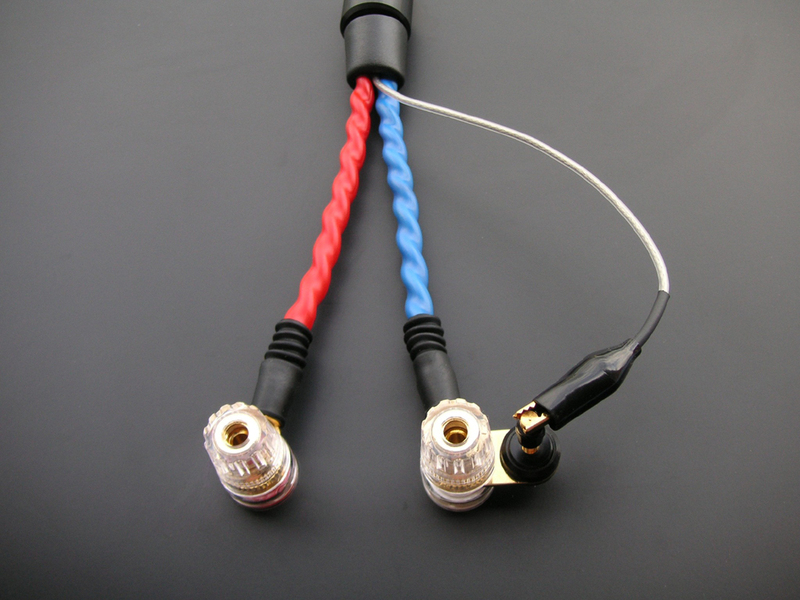 The system of conductors (Stars-Quad) enables creating "by-wiring" connection. 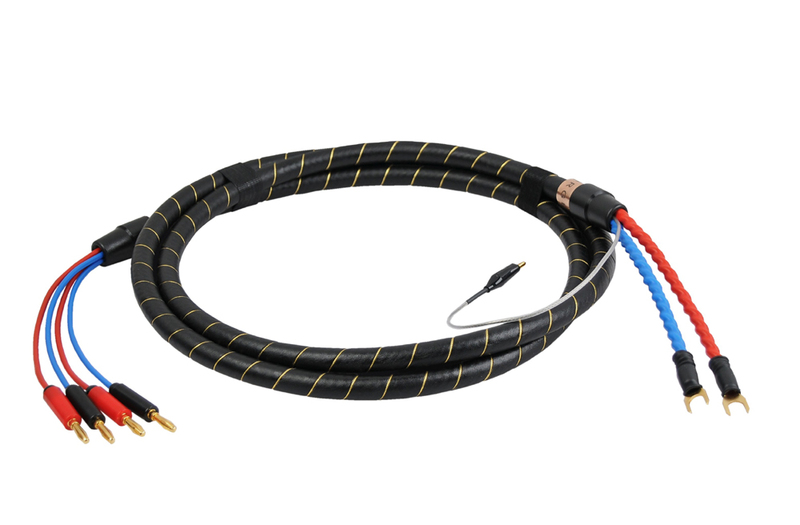 Cables are packed in brass gold plated forks and banana plugs and optional (recommended) Argentum silver fork with or without plating and with coverings of gold (Au) and rhodium (Rd). Junctions are made Argentum alloy (Sn/Ag 8% silver). 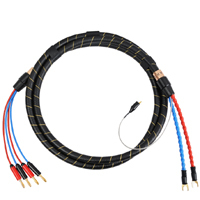 The outer shell is natural black leather belted gold tinsel.